The Current global education projects in White Plains, New York are the result of years of reflection and discovery by students, educators and community members working to celebrate diversity while incorporating an ethic of global citizenship into everyday teaching and learning practices. The White Plains City School District serves a diverse community outside of New York City. Over the course of the past years, Shinnyo-en Foundation has supported the White Plains community to develop, define and reflect on their specific paths to peace in the spirit of service. The Global Ambassadors program, based on a 10-year partnership with Shinnyo-en Foundation, has grown from a seedling service learning after-school club into a thriving extended-day program for global citizenship & youth advocacy through literacy. By continuing to develop partnerships with youth organizations and schools that support civic engagement and service, this project strengthens its work and brings all of its programming to new levels of development as lead faculty and participants share resources, knowledge, and sustainability strategies in order to enrich their community. 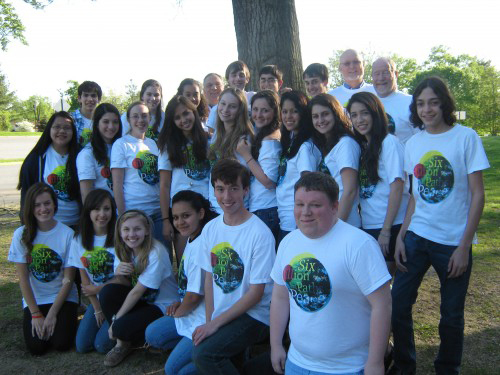 Global Ambassadors become High School INTERACT students, integrating a Rotary International partnership. GAIN promotes activism thru local & global humanitarian projects, offering students opportunities to solve real world problems using innovative solutions. Additionally, new developments and access to technologies have enabled the White Plains City School District to begin exploring new ways to support innovative collaborations and provide accessible content that strengthens the voices of youth. “It’s True News” is a newscast created by young people for young people. News projects focus on the Millennium Development Goals with local and global perspectives. Reporters often link directly to peers and experts through videoconference gathering original research from their primary sources. Each story leaves the viewer with resources on how they can take action to help solve global issues.